Jeff Rubin, a full time resident of Sarasota and a life long collector of fine wine, opened Vin Cella in November of 2004 to rave reviews from wine lovers and critics alike. When most people visit Vin Cella, they are immediately struck by its singular beauty and surprising functionality. What Jeff accomplished, at considerable labor and expense, is unique in the entire world. 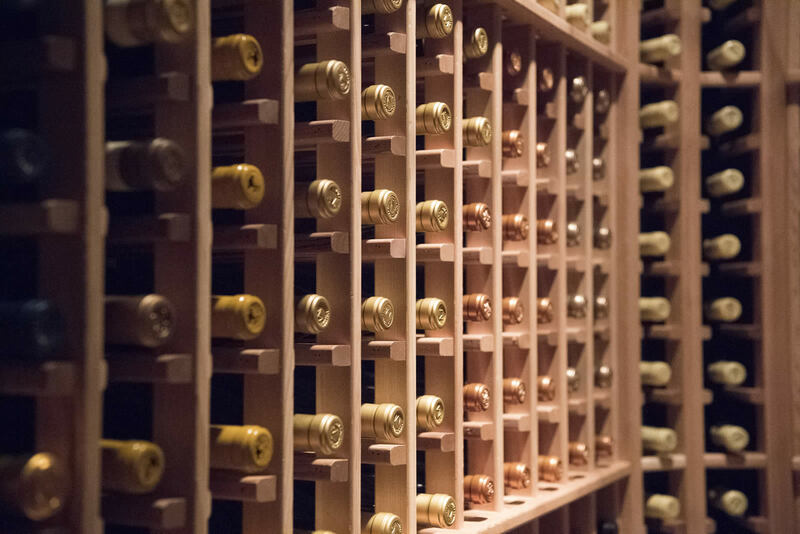 Jeff’s vision was to create a place for people to store their wine in a setting that would not only provide the ultimate in climate control and security, but also in comfort and elegance. Jeff likes to think of Vin Cella as a “country club for wine lovers”, complete with clubhouse and concierge services. Starting with an historic old world building in downtown Sarasota, Jeff built an exact replica of a European wine cave, using cutting edge technology for climate control and security, to which he added exquisite appointments such as custom designed, artisan crafted wrought-iron cellar gates and high quality exotic wood racking. Next he built a world class wine tasting room, decorated it with fine European antique furniture, added a caterer’s staging area, and then commissioned an artist to paint a Tuscany vineyard mural so seductive that it transports viewers to another time and place; all painstakingly designed to enhance the wine tasting experience of Vin Cella’s clients and their guests. Finally, Jeff created a comfortable lounge area, complete with a wine library, wet bar, Persian carpets and plush leather couches. The idea was to create a club-like atmosphere for collectors of fine wine; a place where clients can bring their friends or business associates to enjoy a bottle from their personal cellar and even hold their own private wine tasting events. The success of Vin Cella is not so much the realization of Jeff Rubin’s vision, but the enjoyment that Vin Cella clients derive from having a place that caters so well to their wine collecting needs and interests while complementing their Sarasota lifestyle.